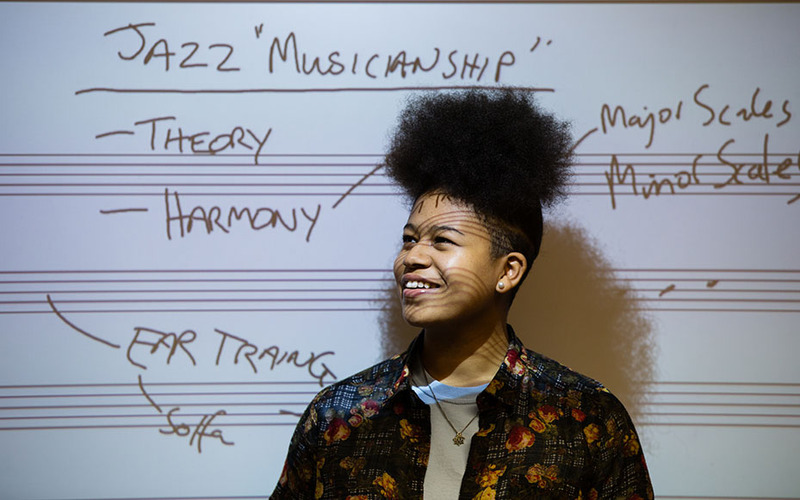 The Vocal Studies department is ambitious on your behalf and seeks to find ways for you to discover and fulfil your potential as a singer and independent, distinctive artist. The department numbers around 100 first study singers on BMus and MMus courses, with a further 20 singers taking the advanced MMus Opera route. Our team of tutors and coaches aim to help you find and release your own true unique voice, establishing a technique which can serve you reliably, with a sense of freedom. The department is led by Professor Stephen Robertson (Head of Vocal Studies) and supported by Associate Head of Vocal Studies Dr Ralph Strehle. Working closely with the Head of Opera, Philip White, it has an excellent and committed team of tutors, many of whom have worked and continue to work at the highest international performing levels and who are able to offer a range of specialisms. Underlying the performing, teaching and coaching activities within vocal studies is a simple idea: that each singer must find the mode of learning and developing which really works for them. This means that though much of the department activity will be comparable to what happens in other conservatoires throughout the world, here in Glasgow our approach is student-centred and we aim to respond to the differing learning styles and needs of individual singers. In practice, this means that we are a holistic and highly inclusive department. So, if you learn best by example and demonstration (a very common way of teaching singing), that will be available to you from our team of internationally experienced singer-tutors. If you really want to understand more of the detail of how the classical voice functions and what constitutes healthy, sophisticated singing via a good working knowledge of the physiology and acoustics of the voice that is also available within the department. If you sing better and reach artistic and technical progress via imaginative and emotional concepts this is also a proven way of accessing professional levels of singing, which is much used in the teaching and classes here. And of course, the truth for many students is that they benefit from the mixture and depth which combining these approaches can achieve. In one session you might be refining the detail of a language and exploring the full emotional depth and connection with text. In the next you could be working on your breath technique to secure a better supported appoggio. Or you might be refining the precision and quality of resonance in your vowels using the latest analytical equipment showing precisely what your voice is doing. These elements are taught via the two singing lessons given each week and the additional classes for repertoire and performance, with also a special class called ‘Basis of Vocal Technique’ where students work as a group on the ideas and skills which they are encountering in the one-to-one lessons. We are practical – we use what works! In addition to this very full and rounded approach to developing your voice we believe that quick and valuable learning takes place via a multiplicity of performance opportunities. Each year, therefore, we devise a programme of concerts, operas, recitals, competitions and masterclasses that enable students to participate at appropriate levels. There are very few formal restrictions to these opportunities – for example even undergraduates may take part in full operatic productions where this is desirable. Our curriculum structure includes credits for Performance Folio activities, in which a student can offer a very wide range of performing. This might take the form of solo performance, or taking part in a chorus or ensemble working at professional level, or it might be an adventurous new work which combines different arts disciplines. 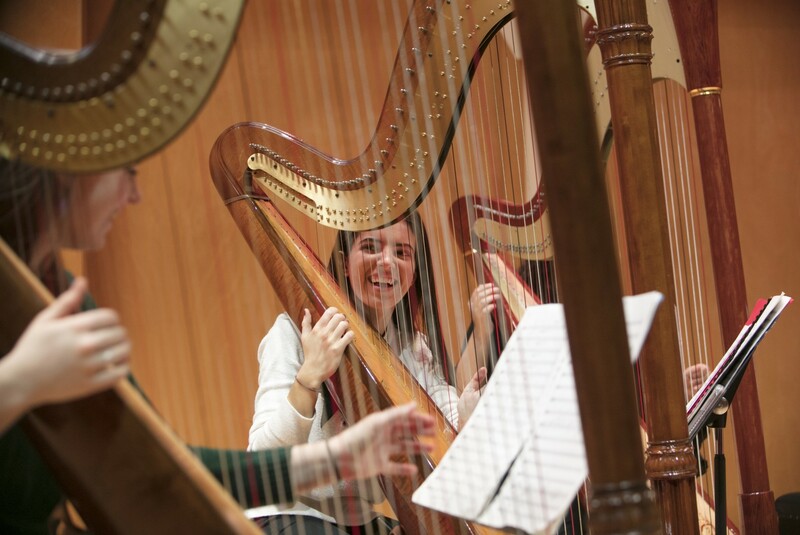 Our unique relationship with Scottish Opera has enabled many students to benefit from taking part in productions in fully professional theatres with the orchestra and production team from Scottish Opera, and the on-going Emerging Artist scheme provides an extra level of training beyond postgraduate work. Hear from our lecturers and students who are all part of the Vocal Studies course. You can also follow us on Facebook to keep up to date with the course. For all four years of the course there are two singing lessons per week, and classes in Performance. Considerable importance is attached to these Performance Classes, which are masterclass-type sessions, bridging the gap between the studio and public performance situations. Students choose and prepare repertoire which is then performed, involving peer assessment, under the expert guidance of a tutor. The class builds performance skills, confidence and experience. It engenders active, positive self-reflection and critiquing, and helps build a strong supportive environment amongst peers. The whole group is involved in the discussion of performances, thereby benefiting vicariously from each individual’s experience. The expert tutor’s role is crucial in providing guidance in discussions, as well as more obviously direct coaching. Depending on repertoire, each student receives about 15 – 20 minutes as the performer, timetabled on a rotating basis. In Year one Italian is developed through both language and repertoire classes. In addition students study the International Phonetic Alphabet. In each year singers have training in Physical Movement designed to prepare them for stage work. The unique Basis of Vocal Technique class is a three year course designed to methodically bring together and share the information and experiences acquired in the 1:1 lessons in the group situation under the guidance of an experienced expert. A major goal is interrelating theory and practice of vocal technique. Students learn by observing one another, and from group discussion which engenders a very high level of reflection. The material is structured so that any gaps in the student knowledge base are identified and corrected as the course progresses. Students’ powers of observation, diagnosis, and prescription for improvement are developed. The assessments happen at the end of each of term one and two with requirements for singing in Italian – both song and recitative, a Handel aria (or similar) and native language repertoire. In addition students choose a vocalise for assessment from any of the standard sources, such as Vaccai. The Basis of Vocal Technique is in three parts for the year and these are: 1) Release and Coordination for Alignment – the whole body; 2) Release and Coordination – the throat, jaw, tongue and palate; 3) Breathing – anatomy and function. In Year two as the voice develops students undertake more demanding repertoire and start the study of German in language classes and coaching in Lieder. The assessments require a Baroque aria (usually with ornamented DC) and Lieder as well as ‘own choice’ material. Students are also expected to offer folksongs, but with the developed technique of the classical singer. The continuing Basis of Vocal Technique classes are again in three sections: 1) Vowels and legato. Complex vowels and maintaining the singer’s formant; 2) The role of consonants in singing voice production; 3) Achieving agility and vitality. The trill and mordent. Introducing the messa di voce. French is commenced in the Year three. Students must study both the language and its repertoire –Melodie. The first assessment at the end of the first term is a DVD submission which has to demonstrate various specified aspects of vocal technique, spoken/declaimed song texts in the three languages studied (Italian, German and French) and a short performed recital. At the end of the year students perform a 25 minute solo recital which has to include French Melodie and also an item in post-Romantic period style. This final year of the Basis of Vocal Technique class covers: 1) Range extension and voice unification; 2) The passaggio zone in differing voice types; 3) Technique and repertoire relationship explored. Problem-solving via repertoire. Year four is the culmination of the undergraduate course and there are some additional classes in this year. Instead of the Basis of Vocal Technique class, students have classes in Oratorio repertoire and Opera Scenes the latter receiving a formal assessed performance. Two recitals are required, with the mid year one being 30 minutes and the final recital 35 minutes in duration. Choice of material is free, but programmes need to make a coherent balanced short recital with appropriate variety. The facilities which the department enjoys are excellent. In addition to the expected range of well-equipped teaching studios, singers have the benefit of the Alexander Gibson Opera School – including the Opera Studio. The Stevenson Hall, and the New Athenaeum Theatre are also used by the Vocal Studies department giving students invaluable performance experience. The Ledger Recital Room is used for many classes and competitions. Additionally, those involved in opera performances in collaboration with Scottish Opera would normally expect to perform in the fully professional theatres of the Theatre Royal (Glasgow) and the Festival Theatre (Edinburgh). Recently we have also undertaken performances in Glasgow City Halls (home of the BBCSSO) with a commemorative performance of Verdi’s Simone Boccanegra and Stravinksy’s Les Noces. Other venues which have housed opera and concert performances outside the RCS campus include the splendid early Gothic Glasgow Cathedral, St Mary’s Cathedral, Paisley Abbey, and the concert halls in Perth and Aberdeen. Students also have access to expertise amongst staff in Spectrographic Analysis of resonance and vowels, with the ancillary information that can be utilised using Electroglottogram information. These two advanced software-based tools can often make yet clearer what is being studied and understood using excellent traditional methodologies. The vast majority of undergraduates choose to go on to further study once they have completed their four year course. Whilst some like to take advantage of the fact that this department can offer them a complete journey commencing with the Year 1 B Mus, moving subsequently onto the M Mus Performer course and finally into the Opera Studio M Opera course and thence into the profession, others at the end of their undergrad years like to audition for places in other Conservatoires, Colleges of Music and similar departments abroad. The department has an enviable record in achieving scholarships and places on courses beyond our own doors. In recent years these included the Guildhall School of Music and Drama, the Royal Academy of Music and Royal College of Music, the Jacobs School of Music, Bloomington, Indiana University and the Konservatorium Wien (Vienna). In 2017, three alumni were finalists in the Cardiff Singer of the World competition – Catriona Morison, Anush Hovhannisyan and Dominic Barberi – with Catriona winning both the song prize and the overall competition first prize, becoming the first British singer to ever win. 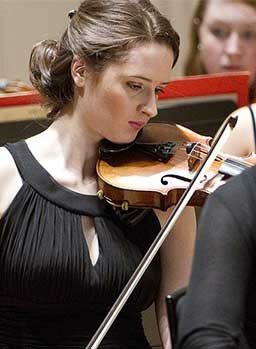 Svetlina Stoyanova won the prestigious German competition, Neue Stimmen, whilst still a student with RCS. Recent graduates have been offered places on the Covent Garden Jette Parker scheme, the National Opera Studio, the Welsh International Academy of Voice, the International Opera Studio Staatsoper Berlin, the Salzburg Festival Young Singers Project, Opera Studio Bregenz Festival, the Verbier Academy, as well as contracts in fully professional houses including the Royal Opera House, Staatsoper Berlin, Deutsche Oper Berlin, English National Opera, Scottish Opera, Opera North, Welsh National and Royal Opera Den Norske. submit your video recording. Please see above for what to prepare for your audition recording. Applicants who are offered a place at RCS following submission of a recording will be required to undertake a supplementary audition when they arrive to start their programme of study. This is to confirm the authenticity of their recording. This audition may affect their placing on the programme. Please prepare three items, for example: either any Italian Aria Antiche (e.g. from the volume entitled 24 Italian Songs and Arias, or similar or a folk song – an aria from oratorio (or opera) – an art song for your audition recording.